Tropical Storm Sandy passed over Rochester, N.Y., on Monday night. The video above gives my impression of what it seemed like. We got off lightly compared to people in New York City and the other coastal cities, but I’m without electricity and Internet service. I’ve posted this from a public access terminal at the Rochester Public Library. Expect few or no new posts until I get my power back. While you’re visiting, you might be interested in the articles menu on the right side of the page. If you had asked me 15 years ago what head of state would create a secret paramilitary force whose purpose was to execute an expanding list of death warrants into the indefinite future, I would not have said “the United States.” I might have guessed Russia or China or North Korea or Saddam Hussein’s Iraq. I would have said that such a force is a defining characteristic of a totalitarian government. But in fact, as the Washington Post revealed recently, this is the policy of the United States, as carried out by a supposedly liberal Democrat who holds the Nobel Peace Prize. The U.S. government has a policy of open-ended undeclared war, implemented by flying killer robot drones. We have government surveillance in which every message and transaction carried over an electronic network is available to the state. Our police are being increasingly militarized, as if they are preparing to put down an uprising. I don’t think George W. Bush or Barack Obama are comparable to Hitler, but between the two of them, they have established an institutional and legal structure in which a Hitler, if he came to power, would lack no power to make his dictatorship total. If you have the power of life and death without accountability, if you have the power to act in secret and prosecute those who reveal your secret, what power do you lack to be a dictator. No, I don’t think George W. Bush or Barack Obama are comparable to Hitler, but having lived through their administrations, I find it easier to understand how the German people could come to accept Hitler’s rule as normal. There are two things I find hard to understand. Right-wing Republicans think that President Obama is secretly plotting against American constitutional liberties. Yet these same Republicans are perfectly content to give this same President unlimited, unaccountable life-and-death powers exercised in secret. They opposed the President’s health care plan because they imagine it would create death panels, yet they support the creation of real death panels. Liberal Democrats are afraid of what Mitt Romney would do if elected President. Yet they are content to give the President unlimited, unaccountable, life-and-death powers exercised in secret, as if there never will be a time when these powers are handed over to a right-wing Republican. Click on Plan for hunting terrorists signals U.S. plans to keep adding to kill lists for the Washington Post report on the Obama administration’s “disposition matrix”. Click on Obama moves to make the War on Terror permanent for Glenn Greenwald’s analysis. Click on US legislation targets anyone in the world it deems a threat – that could be you for the larger picture. Imran Khan, a former Pakistan cricket star, has gone into politics and may well be the next Prime Minister of Pakistan. HE was interviewed in August by The Economist about his political views in the video above. Last week, on his way to a political meeting in New York City, he was detained by U.S. immigration officials and interrogated for about 30 minutes concerning his opposition to U.S. drone attacks in the tribal areas of Pakistan. He missed his flight, but was allowed to continue. A couple of things strike me about this. First, Imran Khan’s political opinions are no great mystery. Anybody with access to Google or YouTube can find them in a hurry. Second, what was did the immigration official think he was accomplishing by harassing and insulting a foreign leader? Did the official think he had the power to make Imran Khan mend his ways? I don’t know which is worse—to think that this reflected some high level decision in Homeland Security, or that some low level official thought that this was within his discretion, and nobody called him to account. In the total scheme of things, there are many worse violations of human rights than Imran Khan being questioned at the Toronto airport. But it is an example of an attitude by American officials toward the rest of the world that has generated a bad backlash, and is certain to create a worse backlash in the years ahead. Click on Imran Khan detained and ‘interrogated over drone views’ by US immigration for Glenn Greenwald’s report for Britain’s The Guardian. Click on Outrage over CIA’s deadly ‘double tap’ drone attacks for a report in Britain’s The Independent. When I visit my local Barnes & Noble store, I see young adult sections expanding, and genres of especial interest to teenagers, such as manga, also taking up an increasing percentage of the shelf space. Many people my age complain that teenagers these days aren’t interested in reading, and this, I guess, proves us wrong. But what I don’t get is the two sets of bookshelves devoted to the category of “teenage paranormal romance,” most of which seem to be about teenage girls falling in love with vampires and werewolves. I can understand the appeal of the Harry Potter books. I would have loved to have read something like this as a boy. I can understand the appeal of the Hunger Games books. They speak to current conditions. I can understand wanting to be a vampire slayer. But a vampire’s lover? I don’t get it. If you’re a teenage American girl, or know teenage American girls, maybe you can explain. How can anti-LBJ protesters be for Obama? 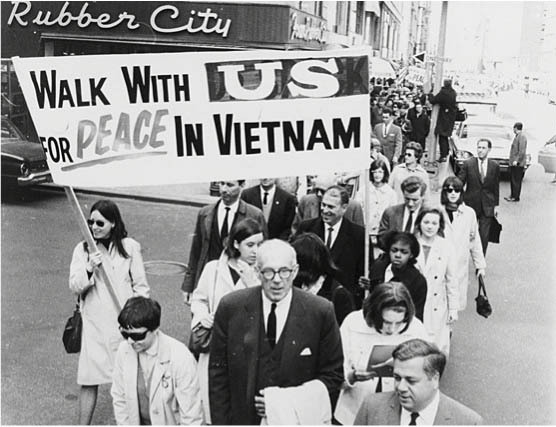 Back in the 1960s, I was, to my shame, a supporter of U.S. intervention in Vietnam. I saw U.S. intervention as an unfortunate but necessary move in the global duel between the United States and the Soviet Union. I continued to defend U.S. policy right up until the time President Lyndon Johnson was defeated in the New Hampshire presidential primary, and announced that he would not run for re-election. I saw that U.S. policy was unsustainable, although I continued for many years to think of the Vietnam intervention as no more than a bad mistake. I don’t regret being anti-Communist. I still am. The Soviet Union really was an evil empire. Soviet Communism was an anti-human, totalitarian ideology. Where I went wrong was in thinking that opposition to Communism outweighed all other considerations, both practical and moral. I respect the New Left protesters of the time. They had better moral priorities than I did. Lyndon Johnson was the greatest civil rights President of the 20th century, and the only President since Franklin Roosevelt who seriously attempted to help poor people in the United States. But people such as Martin Luther King Jr. this was outweighed by the death and suffering caused by the quagmire war in Vietnam. I am taken aback when I meet former New Leftists who say they support President Obama for re-election—Obama, who has done virtually nothing for civil rights, virtually nothing for poor people and taken the abuses of power of the imperial Presidency to lengths that even Richard Nixon, let alone Lyndon Johnson, never dreamed of. They accept endless war, a Wall Street oligarchy and the destruction of civil liberties as facts whose reality it is necessary to accept, but argue that within this framework, Obama is better than Romney or any of the other Republicans—more willing to extend unemployment compensation benefits, for example, or to appoint judges who favor abortion rights. This is a moral arithmetic that I don’t understand. George Orwell in his novel 1984 coined the word un-person. When the regime of Big Brother turns you into an un-person, you not only cease to exist, but all record and memory of your existence cease to exist. This was inspired by the old Soviet Union, where, when the regime turned against a prominent person, they not only disappeared, but all reference to them in the Great Soviet Encyclopedia was eliminated. Winston Smith, the central character of 1984, has a job of “rectifying” the records. Now Wikileaks has uncovered records that indicates the authorities at the Guantanamo Bay detention center had a policy of turning inmates into un-people. Julian Assange said in an interview last week with CNN that a 2005 Guantanamo Bay manual, recently revealed by Wikileaks, show that military authorities had a policy of not identifying the inmates as individuals, not even by a number. That meant a person could be made to disappear, and there would be no record that the person was even present at Guantanamo. Now perhaps there is a logical explanation for this policy other than the one Assange gives. Perhaps the present policy is different from what it was in 2005. But U.S. government spokesmen refuse to explain, confirm or deny. They say it is a matter of security. The only way that I can see it would be a matter of security is that the truth really is Orwellian. Click on Embassy life like a ‘space station,’ Assange says for the interview and a summary on the CNN home page. Click on The Detainee Policies for Wikileaks’ press release on the Guantanamo documents. A post-election crisis of legitimacy? Some friends of mine made an argument I hadn’t considered as to why liberals should vote to re-elect President Obama, even if they live in states certain to go for either Obama or Governor Romney. They fear a crisis of legitimacy, due to Barack Obama winning the electoral vote and Mitt Romney possibly winning the popular vote. That is a real danger. Prior to the 2000 election, it looked as if Al Gore might win the electoral vote and George W. Bush the popular vote (you’ll recall the actual result was the reverse). The Republican Party was geared up to challenge the legitimacy of a Gore victory. I think the same thing can be expected in the event Obama loses the popular vote, or even wins by an extremely narrow margin. There will be lawsuits, bogus charges of voting fraud and endless protests. This danger, arguably, could be lessened by Green Party supporters holding our noses and voting for Obama. This is a strong argument, but for me a crisis of legitimacy would be a lesser evil than acquiescing in the legitimacy of (1) creation of a secret paramilitary force (described in a recent Washington Post article) with a mission to executive an ever-expanding list of death warrants based on secret criteria, (2) an open-ended policy of expanding undeclared war based on flying killer robots, (3) impunity for torturers, continuation of secret CIA interrogation centers and condition of a policy of rendition, (4) protection of Wall Street bankers from financial failure and prosecution for financial fraud, and (5) the undermining of Social Security, Medicare and other basic safety net programs. These are all things on which Obama and Romney agree. The worst thing that President Obama has done is to convince so many American liberals to accept these conditions as normal and as a framework for debating the issues. In 2008, I voted for a candidate who ran on a slogan of hope and change. Now, in 2012, I am being asked to re-elect that candidate on the grounds that there is no hope and that change is impossible. I’m not sure that a Romney administration would be greatly different from a second Obama administration. Under a Romney administration, liberal Democrats might remember that they are liberals, and would be able to oppose abuses of power without being constrained by party loyalty. Many Democrats are bitter about Green Party supporters in Florida in 2000, saying that if they had voted for Al Gore instead of Ralph Nader, Gore would have won. But that was only one factor in Gore’s defeat, and not the major one. The most important reasons for Gore’s defeat were the blatant bias against him of the Washington press corps, the disenfranchisement of black voters in Florida for bogus reasons, the “white collar riot” of Republican activists to block a recount, and a partisan Supreme Court decision. Al Gore himself, acting (as he thought) for the greater good of the country, accepted defeat and told the country to move. I don’t think that Mitt Romney and his supporters will accept defeat so gracefully. But if President Obama loses the popular vote, or the popular vote is close, it will be his own fault, not my fault. He would be more popular if he had not gone against public opinion in pro-actively protecting the Wall Street banks against financial failure and criminal prosecution, and in expanding rather than winding down U.S. wars. Click on President Obama Could Lose The Popular Vote, Win in the Electoral College for an explanation of what could happen. 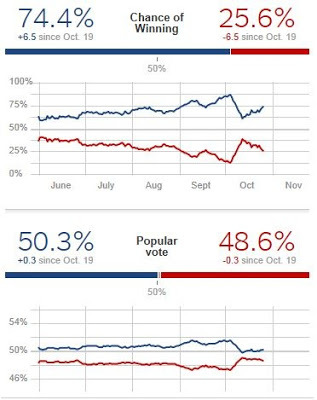 Click on FiveThirtyEight Blog for Nate Silver’s continuing expert analysis of poll results. Francis Spufford is the author of the wonderful book, Red Plenty, a novelistic account of the failed Soviet economic reforms in the Khrushchev era. It is interesting throughout and shows why the system was unreformable. Now he has written a new book, Unapologetic, in which he defends Christianity against New Atheists such as Richard Dawkins. The first chapter was published in The Guardian. The atheist bus says: “There’s probably no God. So stop worrying and enjoy your life.” All right: which word here is the questionable one, the aggressive one, the one that parts company with recognizable human experience so fast it doesn’t even have time to wave goodbye? It isn’t “probably”. New Atheists aren’t claiming anything outrageous when they say that there probably isn’t a God. In fact they aren’t claiming anything substantial at all, because, really, how would they know? It’s as much of a guess for them as it is for me. No, the word that offends against realism here is “enjoy”. I’m sorry – enjoy your life? I’m not making some kind of neo-puritan objection to enjoyment. Enjoyment is lovely. Enjoyment is great. The more enjoyment the better. But enjoyment is one emotion. To say that life is to be enjoyed (just enjoyed) is like saying that mountains should only have summits, or that all colors should be purple, or that all plays should be by Shakespeare. This really is a bizarre category error. … Suppose, as the atheist bus goes by, you are poverty-stricken, or desperate for a job, or a drug addict, or social services have just taken away your child. The bus tells you that there’s probably no God so you should stop worrying and enjoy your life, and now the slogan is not just bitterly inappropriate in mood. What it means, if it’s true, is that anyone who isn’t enjoying themselves is entirely on their own. What the bus says is: there’s no help coming. Now don’t get me wrong. I don’t think there’s any help coming, in one large and important sense of the term. I don’t believe anything is going to happen that will materially alter the position these people find themselves in. But let’s be clear about the emotional logic of the bus’s message. It amounts to a denial of hope or consolation on any but the most chirpy, squeaky, bubble-gummy reading of the human situation. St Augustine called this kind of thing “cruel optimism” 1,500 years ago, and it’s still cruel. A consolation you could believe in would be one that wasn’t in danger of popping like a soap bubble on contact with the ordinary truths about us. A consolation you could trust would be one that acknowledged the difficult stuff rather than being in flight from it, and then found you grounds for hope in spite of it, or even because of it, with your fingers firmly out of your ears, and all the sounds of the complicated world rushing in, undenied. Richard Dawkins, in The God Delusion, asserts, correctly, that there is no empirical or logical proof of the existence of God, and that as a scientific hypothesis, the Christian religion and other religions make no sense. He has no sense of religion as a source of meaning and purpose in individual lives, or as a source of community. What Dawkins has instead is a great sense of joy and (you might say) reverence in learning of the wonders of the natural world. Spufford, surprisingly, agrees that the truth of Christianity is unprovable to those who don’t already have faith. He wrote this for the New Humanist magazine. Religion isn’t a philosophical argument, just as it isn’t a dodgy cosmology, or any other kind of alternative to science. In fact, it isn’t primarily a system of propositions about the world at all. Before it is anything else, it is a structure of feeling, a house built of emotions. You don’t have the emotions because you’ve signed up to the proposition that God exists; you entertain the proposition that God exists because you’ve had the emotions. You entertain the proposition, and perhaps eventually sign up to it, because it makes a secondary kind of sense of something you’re feeling anyway. The question is whether you can have a solid religious faith without making assertions of objective fact. Richard Dawkins in the preface to The God Delusion says the metaphorical faith of people such as Karen Armstrong, and by implication Francis Spufford, is beyond the scope of his book. His argument is with religion as an assertion that revelation takes precedence over scientific fact. This is not a straw man. This is in fact what most Jews, Christians and Muslims believe. The Catechism of the Catholic Church says that acceptance of Darwin’s theory of evolution is compatible with Christian belief, but it still is necessary to believe that the human race is descended from one man and one woman who were guilty of original sin, and to believe that as fact, not metaphor. One problem with Spufford’s religion of personal experience is that it does not speak to those who do not have the religious experience he speaks of, of whom I am one. And most Jews, Christians and Muslims believe as they do not because of their subjective personal experience, but because they accept a certain religious revelation as objectively true. This brings religion into Richard Dawkins’ field of fire. Click on The trouble with atheists: a defense of faith for Spufford’s full article in The Guardian. Click on Dear atheists… for Spufford’s full article in the New Humanist. Click on Dear Christians… for a rebuttal to Spufford. Somebody years ago said the essence of the bohemian lifestyle is to use things for purposes for which they weren’t intended—orange crates for bookcases, empty Chianti bottles for candle holders. 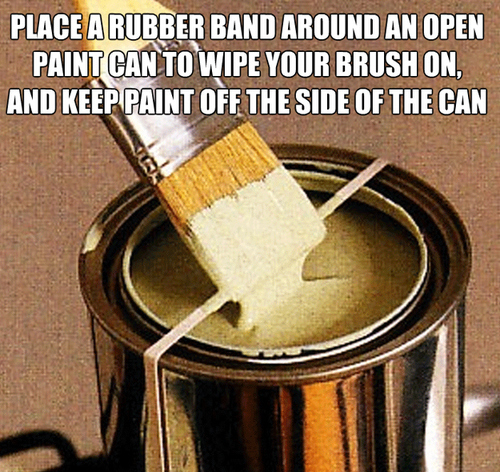 Click on 99 Life Hacks to make your life easier for more like this. Or look below. Hat tip to kottke.org. Barack Obama leaves a rich legacy. He has established a bipartisan consensus that the powers of the President of the United States include the signing of secret death warrants based on secret criteria, and created a secret paramilitary force using flying killer robots to carry it out. He has established a bipartisan consensus of never-ending warfare with no criterion for victory that could ever bring that warfare to an end. He has established the principle that the government has a right to operate in secrecy and that insiders who reveal wrongdoing deserve to go to prison. What other powers would a fascist dictator lack? “too big to fail” banks from being broken up. He has offered to bargain away Social Security and Medicare in return for tax changes that could be achieved simply by allowing the Bush tax cuts to expire. When I think of Obama, I think of Bradley Manning stripped naked in his solitary cell. I think of a 16-year-old boy sitting by the side of a road, suddenly turned into a “bug splat” because of the actions of his father. I think of young black men going to prison for years for trivial drug offenses that Obama himself committed as a young man. I think of Obama’s former chief of staff saying that everyone who expected Obama is keep his campaign promises is a “retard,” and his press secretary saying they should be drug-tested. I will not vote for Barack Obama. I will vote for Jill Stein of the Green Party, but almost all the alternative parties have a better platform than Obama’s. It is a foregone conclusion that New York state will go for Obama, but if some of us show we want a better choice, that may have some effect in the long run. Like the late Eugene V. Debs, I think it is better to vote for what I want, and get it, than vote for what I don’t want, and not get it. But even if I lived in a swing state, I still would not vote for Obama. It is not a foregone conclusion that a Romney administration would be worse. If Romney is elected, some Democrats may remember they are liberals. There might be opposition to the Wall Street oligarchy, the Homeland Security state and perpetual war, which there was under the Bush administration, but which has been neutered under the Obama administration. Click on the following links for more. The Obama Contradiction by Tom Engelhardt. Obama moves to make the war on terror permanent by Glenn Greenwald. The Question That Makes Most Obama Supporters Nervous and Evasive by Conor Friedersdorf. President Romney Can Thank Obama For His Permanent Robotic Death List by Spencer Ackerman. Symptoms of the Bush-Obama Presidency by David Bromwich. Click on Who’s Killing Who? A Viewer’s Guide for background on this animation. Click on Nina Paley’s Blog for more from this artist. The free exchange of goods and services is necessary for the functioning of a modern industrial economy. It is not just because freedom is good in itself, although it is. It is not just because free competition spurs companies to produce better goods at lower prices, although it does. It is that in order to makes decisions within a modern economy, it is necessary to compare relative values. You can’t do that unless you know the prices of things, and the only non-arbitrary way to set prices is through agreement of a willing buyer and a willing seller. So the economics profession is perfectly right to start with the concept of free markets as a premise. The problem is when that concept is taken to a self-defeating extreme. Free markets are not the same thing as the absence of rules and regulations. If that were do, Lebanon under the warlords or Haiti after the earthquake would be the greatest free market countries in the world. The New York Stock Exchange draws investors from all over the world because they have confidence that a listed company’s financial report bears some semblance to reality, and that a broker is not trying to rip them off. To say that rules and regulations as such are inconsistent with the free market is like saying traffic lights and speed limits are inconsistent with free driving. You could make the argument that individual drivers are better able than traffic police to decide when to stop and start and how fast to go, but that is not a freedom that would be meaningful to me. The test of a proposed law are regulation is (1) whether it is consistent with basic Constitutional rights, (2) whether it promotes the common good and (3) whether it can be enforced impartially. 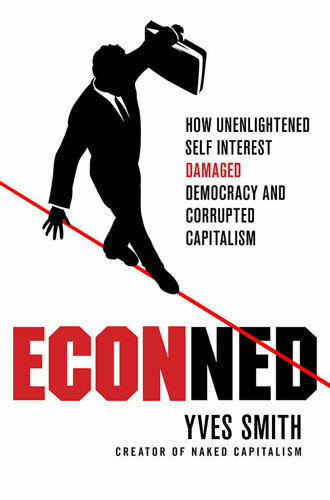 For insight into what happens when decision-makers decide that “free markets” can function without law and regulation, I recommend Yves Smith’s book, ECONned: How Unenlightened Self-Interest Undermined Democracy and Corrupted Capitalism and her web log, naked capitalism. I recently read a number of books during the past couple of years about Wall Street and the events leading up to the 2008 financial crash. The latest is ECONned: How Unenlighted Self-Interest Undermined Democracy and Corrupted Capitalism. It was published two years ago, but unfortunately is still as relevant as it was then. What this book offers that the previous ones didn’t is an analysis of how bad policies were based on unproved but widely accepted economic theories, and how these theories continued to be accepted even though evidence had proved them wrong. One example is the Arrow-Debreu Theorem, a mathematical proof that for any commodity at any given time, there will be a price that will clear the market—that is, leave no sellers with unsold goods or buyers with unsold orders. The Arrow-Debreu Theorem assumes perfectly competitive markets, buyers and sellers with equal information, no buyer or seller big enough to influence the market, separate markets for different locations and a futures market with no limits on time or place. In other words, it assumes conditions that never were and never will be. It is like the joke about the physicists who came up with a formula for predicting the outcome of horse races, based on the assumption of spherical horses racing in a vacuum. Nevertheless many economists decided that the Arrow-Debreu Theorem proved that you should work for unconstrained markets, especially unconstrained futures markets, with the idea that this would bring you closer the ideal of the market-clearing equilibrium price. They persisted in advocating this even after the Lipsey-Lancaster Theorem, which showed that unless every single one of the Arrow-Debreu conditions were met, partial fulfillment would be useless or even harmful. The Capital Asset Pricing Model, which says that risky investments can be made relatively safe through diversification. The fact is that in a market crash, the prices of all securities fall, because investors sell their better investments to cover their losses. I found this was true in 2007 when my diversified mutual funds all collapsed in price at the same time. The Black-Scholes pricing model, which says that you can figure out what’s a good price on an option to buy a stock or bond based on the stock or bond’s “beta” (the history of its variability). But this ignores all the outside factors that could affect the price of a security—the effect of a bad tomato harvest on the stock of a ketchup company, for example. Even more fundamental economic concepts aren’t always true, Smith pointed out. Economics is the study of how people respond to material incentives, but that is a narrow and inadequate way of looking at human behavior. The typical human being is not trying to maximize utility in isolation from everything and everyone else. Sometimes raising the price of something means you get less of it, rather than more, because somebody may have a target amount of money they’re trying to make, and quit when they reach it. The economics profession has sought to distinguish itself from the other social sciences by greater reliance on mathematical rigor. The equations don’t necessarily reflect reality, but they enhance the intellectual authority of economists in the eyes of those who are mathematically unsophisticated. Yves Smith does not say that fundamental economic concepts or mathematical economics are completely wrong or completely useless, only that they are not the whole truth and should be subject to a reality check. About half the book is devoted to the claims of financial economists to understand and hedge against risk. The financial crash of 2007 was partly due to financiers who didn’t understand risk. They didn’t understand that if a larger enough number of people are hedging against the same risk, there is nobody left to bail them out. That is why Long-Term Capital Management Company, a hedge fund headed by two Nobel economists, collapsed in 1998 and would have brought down a large part of the U.S. banking and finance industry along with it, if it hadn’t been bailed out by the Federal Reserve System. There also were many financiers who understood the risk very well, but were nimble enough to push it off onto those who didn’t. They were given free rein because of a more fundamental fallacy—the belief that individual pursuit of material self-interest always works for the general good. I think Smith is too harsh in her judgment of the economics profession. As she noted, many economists saw that an economic crash was coming, and issued warnings, but they were disregarded. Economists are developing new tools, such a behavioral economics, which overcome some of the limitations of past theory, but they do not influence policy. But it is the economists who were wrong, not the ones who were right, who guide the U.S. government’s policy. 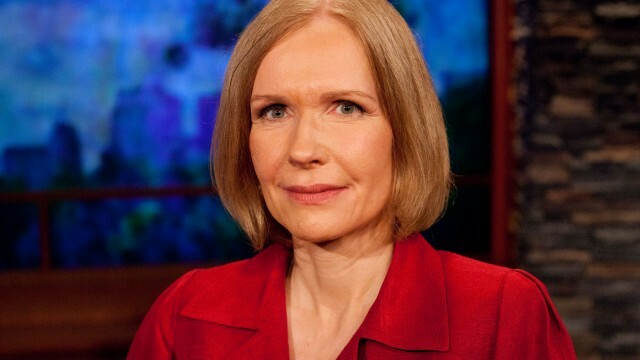 Yves Smith is the pen name and Internet handle of Susan Webber, a graduate of Harvard Business School, who formerly worked in corporate finance for Goldman Sachs and headed the mergers and acquisitions division of Sumitomo Bank, and now has a consulting firm called Aurora Advisers Inc. She knows whereof she speaks. Click on naked capitalism for her web log. She and her contributors produce outstanding investigative financial journalism and commentary on conventional economic thinking. ECONned Part III: Insuring Financial Stability. Four Presidential candidates—Jill Stein of the Green Party, Rocky Anderson of the Justice Party, Virgil Goode of the Constitution Party and Gary Johnson of the Libertarian Party—had their own debate in Chicago the other night. They were amateurish as performers. 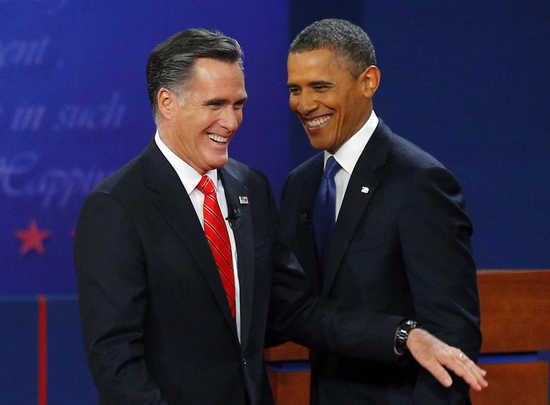 Barack Obama and Mitt Romney could have done a better job than any of them of playing a President on TV or in the movies. But they got into the substance of issues. And for all their differences, they did agree on following the Constitution instead of fighting undeclared wars or locking people up without criminal charges. Jill Stein, Rocky Anderson and Gary Johnson, but not Virgil Goode, agreed on the futility of the current war on drugs, and called for legalization of marijuana. Stein and Anderson called for an expansion of the U.S. welfare state, while Johnson and Goode want to roll it back in order to balance the federal budget. The last question they were asked was how they would amend the Constitution if they could. Anderson would enact a gay rights amendment, Johnson and Goode would enact a congressional term limits amendment, and Stein would enact an amendment that stated spending money is not free speech, and corporations are not people. Goode agreed with the latter, but said it would only require a congressional resolution. Based on the debate, I now think I will vote for Jill Stein. Click on Shift-Alt-Debate for Conor Friedersdorf’s thoughts on the alternate debate. The debate was carried by the RT network, a Russian-owned English-language news network that broadcasts to the United States, and (I understand) by C-SPAN. Is Obama really a defender of Social Security? A blogger in New York state’s North Country says she’s going to vote for Barack Obama in order to ensure than Social Security and Medicare are here for her children and grandchildren. Once upon a time I cast a vote that I later deeply regretted. I was a member of a labor union, and I voted for a contract that preserved my benefits, but reduced them for people who would be hired in the future. Upon reflection, that vote left a bitter taste in my mouth. I vowed to never again cast a vote that would preserve privileges for myself, and deny them to others. This election is another occasion when I’m being offered that choice. Over and over, Romney, Ryan and their surrogates say that if you are 55 years or older, your Social Security and Medicare benefits will not change under the Ryan budget, which Romney has pledged to sign into law. That’s not good enough for me. Obama’s public stance on Social Security is that he “believes that no current beneficiaries should see their basic benefits reduced and he will not accept an approach that slashes benefits for future generations.” I’ve read many articles over the years that point out that the fix for Social Security is a small one: lift the income ceiling for the payroll tax that funds the program so that wealthier people pay more into the system. If that seems unfair to those wealthier people, I answer that it means that their rate of return drops, but that they benefit – we all benefit – when our elderly are not poor. An economic analysis done by Gary Engelhardt and Jonathan Gruber in 2004 states that the poverty rate among the elderly declined from 35 percent in 1960 to 10 percent in 1995, and concludes that this reduction in poverty can be explained by increases in Social Security support. 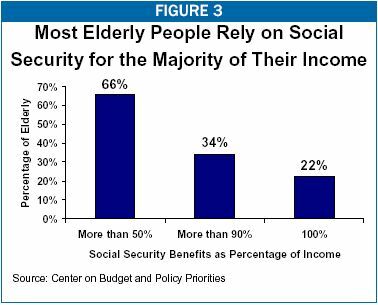 I don’t think of Social Security as a retirement investment. I think of it as an insurance program that we all pay in to so that our parents will have greater financial stability in old age, and so that we ourselves will have greater financial stability when we get old. I want my kids and grandkids (and YOUR kids and grandkids) to also be part of the program. The fix for Medicare is tougher, with the poorly funded addition of prescription drug coverage in 2006 not helping the financial situation. Healthcare costs are tough to handle at all levels right now, whether you are poor on Medicaid, receiving Medicare, have private insurance (as I do), or are uninsured. Obamacare actually helps Medicare, extending the period of time until costs exceed revenues. I know that a fix is needed, but I won’t sign on to one with my vote that will greatly increase health insurance costs for my kids and grandkids while preserving my benefits. What it comes down to for me: If we decide as a nation that we can no longer afford to take care of our elderly as we are doing now, then a scaling back of benefits should happen now, for everyone. Our young people by and large are not any more able to put money aside for their retirement and future healthcare costs than my generation was, so why should we be sheltered while they take the brunt of both paying for my benefits and then not getting similar benefits when they retire? I’m voting for the team that seems to want to at least try to solve the problems so that we don’t rob a basic level of security from our kids and grandkids. The future generations who will be affected by a downgrade of Social Security and Medicare are not way off in the foggy future. They will be sitting around the table at this year’s holiday dinners with us. I think scifiknitter is dead right about the importance of defending Social Security and Medicare from Mitt Romney and Paul Ryan. But I don’t share her confidence that Barack Obama can be counted on to defend these vital programs for the next generation. The President time and time again has expressed a willingness to cut Social Security, Medicare and other social programs in return for a return to Clinton-era tax rates on Americans in the upper income brackets. He packed the Simpson-Bowles deficit reduction commission with advocates of cutting back on Social Security. This is not something he was forced to do. He could have achieved his tax goals simply by allowing the Bush era tax cuts to expire. President Obama had not made Social Security and Medicare a central issue in the campaign. In the debates, he told Governor Romney that he thought the two of them largely agreed about Social Security, and that he was open to the same kind of fixes that were made under President Reagan. Those fixes entailed increasing payroll taxes and raising the Social Security retirement age. The President says he will not accept reductions in “basic” benefits for current recipients or “slashes” in benefits for future generations. He doesn’t define “basic” or “slashes,” so if you read his statement as a lawyer would, you see he gives himself a great deal of leeway. I think that President Obama’s goal is a grand bargain with the Republican leadership to balance the federal budget by means of moderate tax increases with cutbacks in government spending, including entitlement programs. He has expressed a willingness to make more cutbacks in social programs than rich people would pay in increased taxes. I don’t know what is in his mind, but my guess is that he accepts the elite consensus of opinion and sincerely believes that cutbacks in social programs are necessary. Click on Seniors and Social Security for the full White House statement on Social Security. Click on Social Security and the Evolution of Elderly Poverty study for the full Engelhardt and Gruber study. Click on Romney’s statements on Social Security for quotes illustrating Mitt Romney’s positions. He really is as extreme an enemy of Social Security as scifiknitter says he is. Click on Why even President Obama won’t champion Social Security for economics journalist Dean Baker’s analysis of the reasons why Obama and other American politicians won’t stand up for the United States’ most popular social program. Click on Obama’s Betrayals: First the Base, Then the Party for comment on the significance of the President’s failure to campaign for progressive Democrats. Corporations aren’t really people, of course. They are organizational structures which people can use for good or ill. Corporate structures serve the necessary function of accumulating capital. It is through capital investment that the total wealth of a society is increased. Both experience and economic theory show that this works better when capital is in private hands than in the hands of central planners. Even though corporations represent a dangerous concentration of wealth and power, it is a danger that has to be risked if we want to enjoy the blessings of a growing industrial economy. Corporate investors have the privilege of limited financial liability. That is, unlike individuals who own businesses, they only risk what they have invested. If the corporation fails, any additional debts and liabilities have to be absorbed by someone else. If it weren’t for this privilege, if the investors were individually responsible for the corporation’s actions, there would be few investors. I would not buy corporate stock or invest in mutual funds if I were on the hook for everything a company might do. Under current law, the executives of corporations have a fiduciary responsibility to maximize return to shareholders. Period. Whatever obligations they assume beyond this is a matter of law, regulation and of individual ethics. But if there no laws and regulations concerning labor, health and safety, environmental, consumer protection, monopoly power or fraud, or the laws and regulations are not enforced, there is not necessarily any material reason for corporate executives to care about such things. And if you believe in an economic theory that says that the corporation maximizing profit always results in what is best for society, and that the unfettered individual pursuing his or her self-interest always results in what is best for society, then there is no ethical reason to do so either. The result is the behavior described in the chart. Hat tip for this chart to The Big Picture. 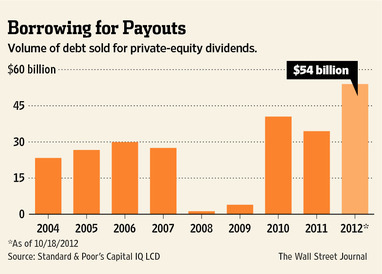 Private equity investors buy up the stock of publicly-traded companies. Often (though not always) they buy the companies with borrowed money, and then load the debt onto the companies themselves. This is good for the investors, but not good for the companies and their employees. According to this chart, increasing numbers of private equity investors are making their companies borrow more money in order to pay themselves dividends. 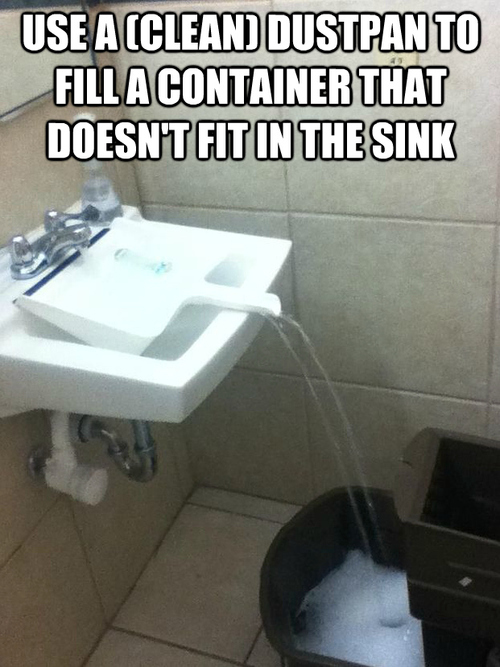 There is no way this can be good for the companies. Hat tip for the chart to The Big Picture. During the first year of the U.S. economic recovery, 93 percent of the gains from growth went to the top 1 percent of income earners, and 37 percent went to the top 1/100th of 1 percent. Bill Moyers did a good show a few nights ago about the mentality of this elite of wealth—how they regard themselves as Ayn Rand characters who are carrying the rest of the world on their shoulders, their limitless sense of entitlement to their special privileges, and their isolation from ordinary people and their conerns. Moyers interviewed Chrystria Freeland, editor of Thomson Reuters Digital and author of a new book, Plutocrats: The Rise of the New Global Superrich and the Fall of Everyone Else, and Matt Taibbi, who reports on high finance and politics for Rolling Stone. As Freeland and Taibbi noted, the wealthy elite do not think of themselves as plutocrats. They sincerely think that they are absolutely entitled to their wealth and privileges. As a group, they are smart and hard working, and have risen largely through their own efforts. As a result, they think they owe nothing to anyone else. They think that they created the world’s wealth by themselves solely through their own efforts, and that they are carrying the rest of the population, especially the American middle class, are parasites. Both Freeland and Taibbi got their start in journalism reporting on Russia in the 1990s. They saw the rise of an oligarchy of wealth, which got control of resources based on their connections in government, and who lived lives of luxury behind guarded walls, cut off from the struggling majority of the population. Now they see the same thing happening on a global basis. Income inequality is rising everywhere, not just in the United States, but in France, Canada and other countries. The elite of each country feel they have little in common with ordinary people in their own countries, but much with the rest of the global elite. Freeland talked about “cognitive capture”—how politicians and intellectuals have come to accept that the plutocracy deserve their privileges, and how even poor people in the United States (not necessarily in other countries) believe they deserve to be poor. On the other hand, Taibbi and Freeland said, there is class conflict within the upper 1 percent of income earners. Millionaires resent the way government gives preferential treatment to billionaires. Silicon Valley entrepreneurs resent Wall Street bankers. The fact that someone is highly intelligent and works very hard does not mean that person deserves to be rich. I know smart, hard-working people who are barely making it. You deserve to be richly rewarded if you make a contribution to society of great value. Some members of the global elite do make a positive contribution. Others do not. Some are no better than thieves. Many members of the global elite have determined that a prosperous middle class and a well-paid working class are not needed. They can get along very well without us. But that is not the issue. The issue is whether working people and middle-class people need the global elite. The global elite think of themselves as “job creators.” Another way of putting it is that they are gatekeepers who determine access to gainful employment. There is a lot of work that needs to be done—in the United States, repair of aging water and sewerage systems, for example—that does not necessarily enrich the elite. They shouldn’t have a veto over whether it is done. It is a misnomer to label the plutocracy as “libertarian.” They are libertarians or statists depending on what is to their interest at the time. What is constant is their sense of entitlement. I think the complaints of the millionaires against the billionaires, and the Silicon Valley elite against the Wall Street elite, probably have some merit. There are many bankers who have operated on sound banking principles, and been overshadowed by bankers who’ve grown by gambling recklessly and then being bailed out by the government from their losses. Click on The Rise of the New Global Elite for an article by Chrystia Freeland in The Atlantic. Click on Plutocracy Rising Transcript for a written transcript of the show. Click on Chrystia Freeland | Analysis & Opinion | Reuters for her blog. Click on Matt Taibbi | Taibblog | Rolling Stone for his blog. Click on Moyers & Company for Bill Moyers’ home page. CEO compensation continually ratchets upwards because every corporate compensation board thinks its CEO’s pay should be above average, according to a study published in August by Charles M. Elson and Craig K. Ferrere of the Center for Corporate Governance at the University of Delaware. Corporate compensation boards benchmark their CEO pay against what comparable companies are paying and the benchmarks set CEO pay at or above the industry median. It is like a college class in which every student is guaranteed an above-average grade. Or Garrison Keillor’s Lake Wobegon where every child was above average. Click on CEOs of Public Firms Are Wildly Overcompensated for comment on the Elson-Ferrere study by Barry Ritholtz on his The Big Picture web log. Click on CEOs and the Pay-‘Em-Or-Lose-‘Em Myth for a report on the study by Gretchen Morgenstern of the New York Times. Click on The official Dilbert website with Scott Adams for more from that cartoonist. 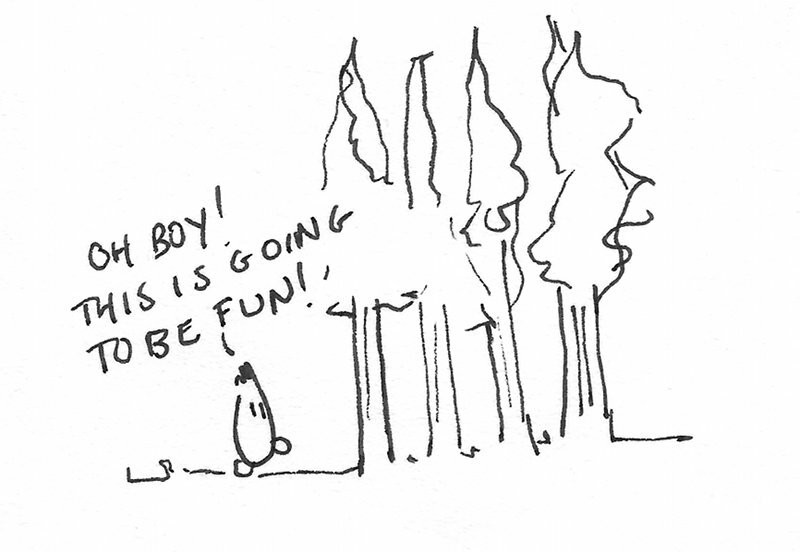 Click on Ernie and the Forest of Envy by Simon and Finn for a delightful picture story about how people make themselves unhappy. Hat tip to Ken Blackwell. Why don’t infinite stars light up the night sky? Tags:Big Bang, Night sky, Olber's Paradox, Red Shift, Why Is the Sky Dark at Night? The reproductive justice framework – the right to have children, not have children, and to parent the children we have in safe and healthy environments — is based on the human right to make personal decisions about one’s life, and the obligation of government and society to ensure that the conditions are suitable for implementing one’s decisions. I recently learned a new buzzword—”reproductive justice”—which is being promoted by a black women’s group called SisterSong, and recently has been taken up by my own religious denomination, the Unitarian Universalist Association. The idea behind the phrase is that a women’s right to choose whether or not to have children goes far beyond the right to an abortion. It means that women who want to have children ought to be free from the fear that they won’t be able to feed, clothe and shelter the children, that the children won’t be able to get medical care, that there won’t be day care when they go off to work, and so on. I’ve read the platforms of the political parties on this subject, and it is one in which there is a real and meaningful divide. The Democratic Party and even more so the Green Party endorse reproductive justice. The Libertarian Party defines the issue as one of individual rights and responsibilities. A woman has the right to get an abortion or not, as she chooses, the Libertarians say, but then it is the individual responsibility of the parent or parents to care for the child. The Republican Party platform says the issue is not the right of the mother, but the right of the fetus, or unborn child, to be born. It endorses help for mothers to make sure they are able to bring the child to term and then, if the mother is unmarried, to enable the newborn child to be adopted into a two-parent family. I don’t quarrel with the two-parent man-woman family as an ideal, or with encouragement of adoption. I know a woman who was an adopted child and, as an adult, sought out her birth mother. The birth mother was a mentally ill person who would have been unable to care for her, so she is thankful to have been adopted. But there aren’t enough adoptive parents to go around, and of course not every child is adoptable. I agree with SisterSong, and I like the Democratic and Green party platforms on this issue, but I also think reproductive justice is as much about the responsibilities of parenting as it is about the rights of women. I know a woman my own age who has tried to befriend a young unmarried mother who lives in the same apartment house. She could teach the young mother much about housekeeping and child care, but neither the mother nor the irresponsible father think they need help or advice. I think people like that are a problem, and I don’t know of any government program that is a solution—not that I advocate abandoning the children to their fate. I imagine that if any SisterSong members read this post, they would respond that they know their responsibilities as mothers very well, and don’t need any admonitions from an elderly, childless, well-off white man such as myself. Maybe so. I hope I do not propagate the stereotype of the black unmarried mother drawing welfare. To the extent that what I describe is a problem, it is not a problem of just one ethnic group. Click on SisterSong for their web page. Click on Why I Don’t Think Abortion Is Murder for an earlier post on the abortion issue. Click on Honey Boo Boo Nation for thoughts on the limitations of reproductive justice. Click on highlighted words for the full Republican, Democratic, Green and Libertarian party platforms, or read the portions of the platforms relevant to the reproductive justice issue below. 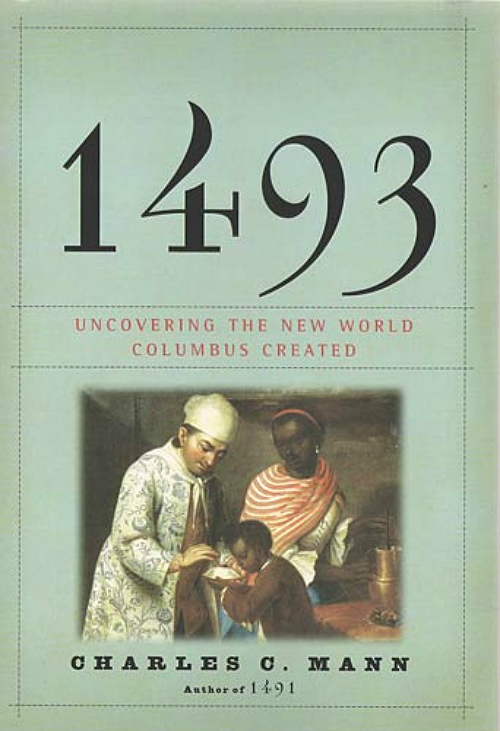 Charles C. Mann in his new book, 1493: UNCOVERING THE NEW WORLD COLUMBUS CREATED tells of how today’s unified, globalized world originated with the voyages of Christopher Columbus and how contact with the Americas changed Europe, Africa and Asia. As in his earlier book, 1491, he made me see that the world’s history was different from what I thought it was. In 1491, Europeans lived in Europe, Africans lived in Africa, Asian Indians lived in India and Chinese lived in China, and they had little contact with each other. The exception was the civilization of Islam, located in the center of the Eastern Hemisphere, which traded with all the others. The Spanish and Portuguese sent out explorers to find routes to India and China that bypassed the Muslims. The Portuguese reached India by sailing East, but had little impact because in fact they had little of value to offer in trade. The Spanish sought to reach the East by sailing West, and ultimately were successful, establishing settlements in the Philippines in the 1570s. Unlike the Portuguese, they did have something the Chinese needed in exchange for their silk, porcelain and other manufactured products—the silver of the New World. By 1650, according to Mann’s account, the center of the world economy was the city of Potosi in what is now Bolivia, at the foot of an extinct volcano where there was a mountain of nearly pure silver. Mann wrote that it was bigger than London or Amsterdam, or any other city in the Western Hemisphere. The silver was transported up the west coast of South America to Panama and Mexico. Some of it was shipped to China, which at that time was the largest, richest and most advanced country in the world, according to Mann. The Chinese did not go on voyages of discovery, but they engaged in world trade because the rest of the world came to them. But China was poor in precious metals, and an earlier experiment with paper money led to a ruinous inflation. So the Spanish were able to obtain their manufactured products at a bargain rate. Most of the silver went to Spain itself, which at that time was the dominant power in Europe, thanks to its New World riches and the valor of its troops. In the 17th century, the Spanish peso was the world’s preferred currency, much like the U.S. dollar in the 20th century. In the long run, because the Spanish did not invest in productive enterprises, their silver flowed to bankers and manufacturers in the Netherlands, Britain and other countries. Potosi is now a ghost town, an example of what Mann called the “extractive state,” whose rulers—often absentee—sought only to extract what they could of value from the land, regardless of consequences. The bulk of Mann’s book tells what happened next, as food crops, diseases and people moved to and from the New World. 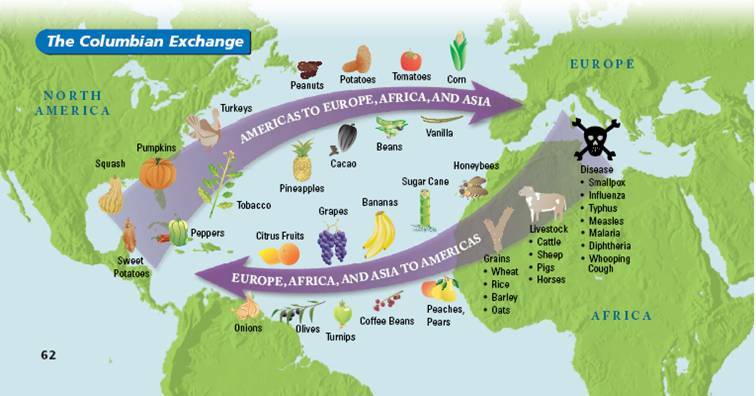 American food crops changed the world. Imagine Italian cooking without tomato sauce, or Thai cooking without chili pepper! The American sweet potato saved China from famine and the white potato saved northern Europe, Mann wrote, but at the cost of creating an agricultural monoculture—crops that were genetically the same—that left the crops vulnerable to disease and pests. One chapter tells the story of tobacco, the cash crop that attracted English settlers to the New World. In a remarkably short time, nicotine addiction spread all over the world, to Japan, China and India as well as Europe. Another tells the story of rubber, a product as vital to the industrial world as steel or fossil fuels. Deforestation and leaf blight virtually destroyed the rubber trees of Brazil, but the rubber industry meanwhile was reestablished in Southeast Asia. Brazil is known for coffee, which originated in Ethiopia. Mann said globalization fostered “extractive states”—societies controlled by people who lived elsewhere, and who were only concerned with what they could profitably extract in the short run. different from, say, England under William the Conqueror, who lived among the people they ruled and expected their descendants to be able to do the same. In 1491, Mann told how European diseases wiped out a large percentage of the American Indian population. In 1493, he told how the New World was influenced by malaria and yellow fever. The peoples of west and central Africa have immunities to these diseases that Europeans and American Indians lack, so over time African slaves replaced European indentured servants and American slaves as plantation labor. At the same time, the United States and then Haiti were helped in their struggles for independence by the effects of malaria and yellow fever on the invading British and French armies. A final section tells of the relations of Africa and the Americas. According to Mann, the number of Africans who crossed the Atlantic in the 16th and 17th centuries in slave ships was greater than the number of Europeans who immigrated. Many Africans fled slavery and took refuge with American Indians, where they formed numerous independent “maroon” communities beyond the reach of the governments of their areas. The Seminoles of Florida, who gave refuge to American slaves, are a small example, but there were huge maroon communities all through the American tropics. Mann told how, in the present era, the “maroons” of Brazil are fighting to keep their lands from being expropriated by ranchers and developers. 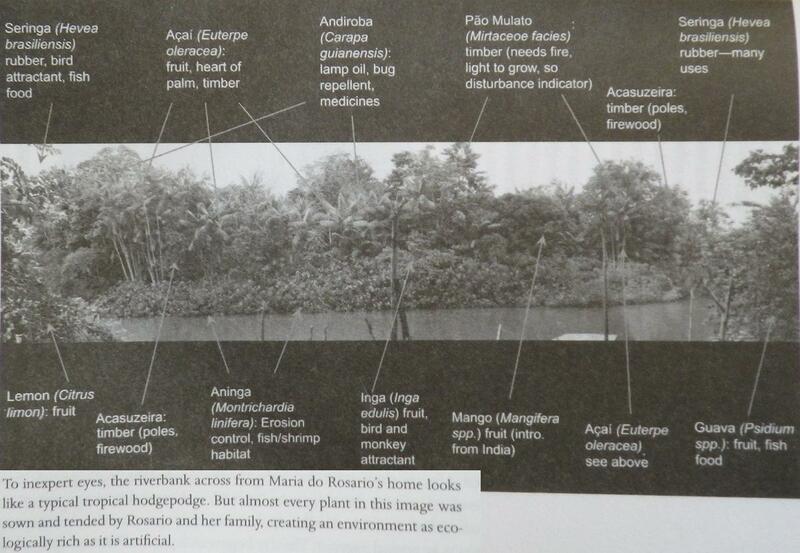 The photo above shows the property of Maria do Rosario Costa Cabral, whose family of maroons have lived for generations along the tributaries of the Amazon River. Their history has been to settle on abandoned land, bring it back into production and then be pushed out because they have no legal title. She told Charles Mann she acquired her current property cheap because the land had been ravaged by the 1980s fad among fashionable Americans and Europeans for heart-of-palm salad. Whole trees were chopped down to get the edible tips. This time she acquired legal title, paid the back taxes and, at the time of writing, succeeded in fending off ranchers who tried to expropriate her. Her current management of her property resembles the practices of American Indians described by Mann in 1491. She is neither an environmentalist, who leaves the land untouched, nor an exploiter, who extracts whatever is of immediate value and moves on. Instead she manages her environment so that it can sustain her and her family over the long term. To the untrained eye, as the photo shows, it looks like undeveloped wilderness. I’ve always subscribed to what has been called the Whig theory of history, which basically says the historical process that has led to me having a good life must have been good. Mann’s 1491 and 1493 make me doubt that assumption. The Columbian age of globalization has brought many benefits to humanity, but often at great eventual cost in social and environmental disruption. I’m unable to say whether the benefits or costs were greater. The story isn’t over yet. Click on The Dawn of the Homogenocene to read the opening section of Mann’s 1493.